You used to spend your time BBM messaging (AHAHAHA) over which mixer you should add to your vodka for pre-drinks before a night out and now it’s all about who’s getting engaged next and OMG DID YOU SEE THAT BABY SCAN ON FACEBOOK? 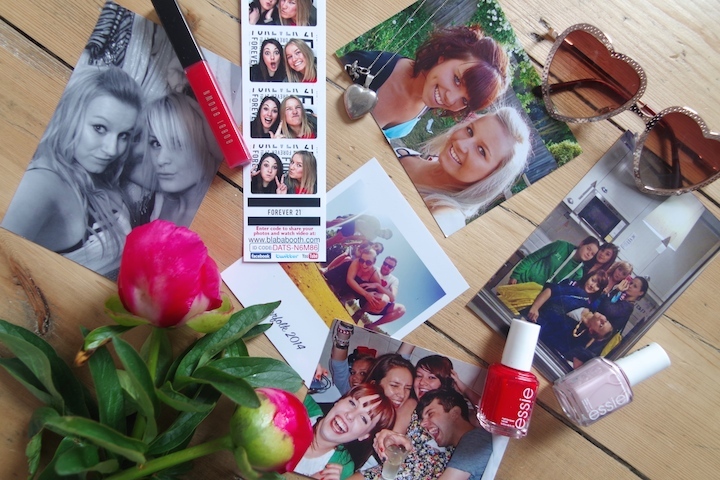 So err, yeah, here’s what you learn about friendship once you hit your twenties. 1. The moment you realise you will never get to see your closest friends every day for trackies and tea the way you did at college and university will hit you bloody hard. WHY DO WE ALL NOT LIVE IN THE SAME TOWN ANYMORE, WHY? 2. You just stop bitching. Almost. Unless you’re on your period and then you kinda can’t help it, because bloody hormones. 3. A decade ago you could count your ‘close’ friends on your fingers and toes, now it’s more like one hand. 4. The people that were part of your friendship group that you never really liked will drift out of your life and you’ll be pleased you trusted your gut and no longer have to fake liking them. 5. Girls’ night will hardly ever come around but when it does you’ll basically do a little excitement wee as though you’ve just been proposed to in Central Park. 6. Making new friends once you’re out of education is traumatic. Especially if you’ve moved somewhere new. WHERE ARE ALL THE COOL PEOPLE AT? 7. But more than being just hard, you kinda don’t want any new friends because you know you already have some stirling ones in your heart, they’re just a casual 100 miles away. 8. You will never feel old enough or mature enough to receive texts from friends that they’re engaged, pregnant or buying a house. WE’RE JUST TEENAGERS, HOW IS THIS HAPPENING. 9. A lot of people that you haven’t labelled a ‘friend’ for at least 5 years will come crawling out of the woodwork the minute they want something. Yeah, thanks for that one social media. 10. You will learn which friends to call in which scenarios. Which one to call when a relative dies, which one to call when you just need to get shitfaced, and which one to call for LOLZ when you’re in the dentist waiting room freaking the flip out. 12. The people you’re friends with now will most probably be your forever friends and you know that you can rely on ANY of them when you need life advice, comforting words and love and affection. 13. You don’t need to be doing anything when you see your friends. You’re happy just in each other’s company, screw house parties and going out for drives and looking for excitement and hitting up bars. You gots each other. 14. You will have jokes and memories that make sense to no-one else and you literally do not give one crap. 15. Group Whatsapp messages are both the bane of your life and the very reason you can make it through a full day without punching a colleague in the face. 16. Trying to get everyone together at the same time is about as easy as tying your shoelaces drunk after spinning around 37 times. Who knew people actually had grown-up weekend plans, eh? 17. The people you’ll feel closest to? The ones that have seen you sobbing so hard you *might* be sick down yourself. Those that have seen you at your worst as well as when you’re leaping around in a new ASOS dress with a bottle of prosecco in one hand whilst taking a selfie with the other. Otherwise known as your best, obvs. 18. The older you get, the more you’ll appreciate the people you surround yourself with, if only via text and the internet. Listening to a song will instantly take you back to some of your favourite moments with favourite people and you will instantly feel grateful and honoured to have them in your life.